There is millions of lake in the world but here we will write about the most beautiful lakes in the world. They can vary from tiny ponds to flooding freshwater extensions. There are many lakes which are so massive that you can even call them oceans. The lakes are even varying in colour so they can be easily distinguished from the normal colour of the water. The humans are using the lakes for drinking water, irrigation, and transportations for decades. So, here we are listing the 10 beautiful lakes around the world that are worth a visit. The lake is located in Northern Italy. It has been spread in an area of 50 Km. It is so beautiful that it has been popular since the days of the Roman Empire. The blue colour of the water and the peaceful environment around the lake will make your visit a lifetime experience. The lake is not only famous for tourist even it is admired by walkers, cyclists, and swimmers. Also, read about incredible natural swimming pools in the world. How to reach: You need to take a train from Milano Nord Cadorna direct to Como Nord Lago. The duration of the trip is about an hour and will cost you around €13 return. Cadorna is a city metro station so you must buy your tickets at the station just before you travel. It is one of the main tourist attractions in Croatia. There are around 20 lakes that have been located on the border of Bosnia and Herzegovina. They vary in the colour of water and also in size. There are around 20 beautiful lakes in the whole area of 300 square kilometres out of which 16 are interconnected by the series of waterfalls. 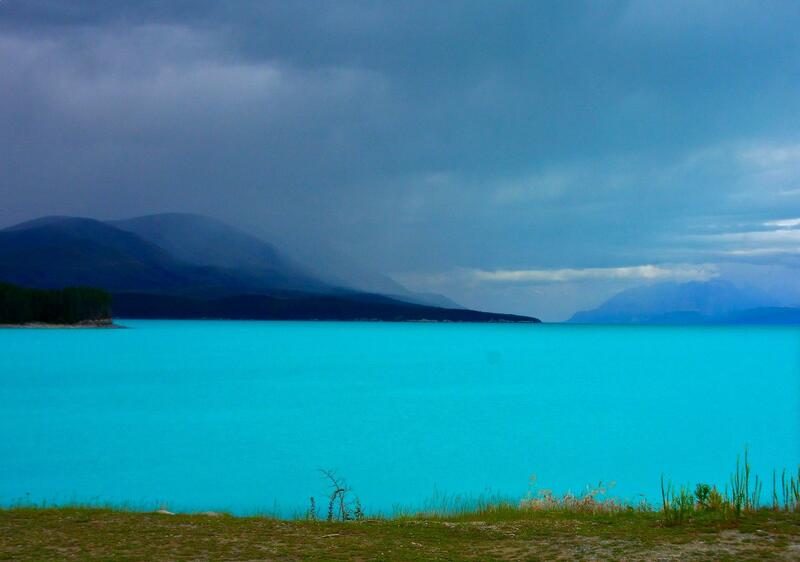 The difference is the colour of lakes is due to the different minerals that are found in the freshwater. Read about some of the beautiful waterfalls in India. There are many beautiful lakes in Canada namely Lake Louise, Moraine Lake, and Peyto Lake. These lakes are beautiful but the landscape beauty of Maligne Lake makes it the most beautiful lake in Canada. It is situated in Jasper National Park. The Lake is surrounded by beautiful mountains which make it even more beautiful and amazing. Nature has gifted us many beautiful waterfalls around the world. How to reach: You to need to follow highway 16 east for 3 km From the east end of the townsite of Jasper and take the turnoff for Maligne Lake Road to the right, Now you need to move towards the iron bridge across the Athabasca River. Kindly stay left along the fork of the road and then move for 48 km until you arrive at Maligne Lake. It has been believed that the lake is formed about 25 million years ago making it the oldest lake in the world. It has a depth of 1.6 kilometres making it the deepest lake in the world. The lake is also home to 2500 species of different flora and fauna. It has been declared as the world heritage by UNESCO. The lake is also surrounded by beautiful mountains, forests, and islands. We also recommend you to read about largest island in the world. How to reach: You can reach here either by plane or by train.Now, if you will select a nearby town such as Irkutsk or Ulan-Ude. Also, you can also get to Baikal lake by bus or by car. The lake is situated at the Western Tibet. The lake is at a height of 4590 meters from the sea level making it the highest lake in the world. Hindu tradition has a belief that the water of the lake a power to bring salvation. It is also important pilgrimage centre for both Hindu and the Buddhists. The uniqueness of the lake is that the water along the corners is of blue colour but if go to the centre the water changes the colour to green. The Lake is situated near to the Mount Kailash. The reflection of the mountain as seen in the lake is just amazing. The island is situated on New Zealand’s South Island. It is one of the most beautiful lakes in the world due to its landscape. It is believed that the lake is created by the receding glaciers. The lake is also the second largest Alpine lake in Mackenzie Basin. We also want you to know about longest rivers in the world. How to reach: Get onto State Highway 79 to Geraldine. Keep riding on State Highway 79 until you reach Fairlie. Now, take State Highway 8 to Mount Cook and Tekapo. There can be other routes you can take to get to Lake Tekapo, however this is the shortest from Christchurch to Lake Tekapo. The lake is situated in the Srinagar city of India. The Lake is surrounded by mountains on the three sides making the landscape view very beautiful. The lake has floating gardens of lotus flowers. The lake is surrounded in an area of 22 square kilometres making it the second largest lake in the State of Jammu and Kashmir. There were built gardens that also add beauty to the lake. The gardens were built in the Mughal era. Switzerland has many beautiful lakes. The lake is situated in central Switzerland. The lake is fourth largest in the country. The Lake has much scenic variety since it passes through many different places like bridges and mountains. The place is a must if you are in a relaxing mode. The lake takes many large crosses and the scenery changes everywhere that make your trip more adventurous. The lake is situated in the Jiuzhaigou national park in Northern Sichuan of China. There are around 108 lakes with different colours that add beauty to the Jiuzhaigou national park. Jiuzhaigou Valley has been declared as the world heritage site by the UNESCO in 1997. The Five-Flower Lake has an amazing view because the lake is surrounded by mountains on three sides. Tourism in this area is very popular but the area is rural. The lake is also called Wuhua Hai or Wuhua Lake. The water is so clear that the depth of the lake can be easily seen. Along with Five flowers Lake you will find 17 beautiful waterfalls in the National park. It is also listed as one of the colorful lakes in the world. The lake is located in England’s Cumbria countryside. The place is also called The Lake District. Views along the lake are just stunning. The most popular way to enjoy the beauty of the lake is by walking on the shores. It is also called ‘Queen of the Lakes’. There is everything here that makes you trip worth a lifetime experience like fitness, great viewpoints, fabulous scenery, water activities and heritage museums.